Posted in: Nashville Wedding Venues, Rustic Country Weddings, Style Shoot, Weddings. 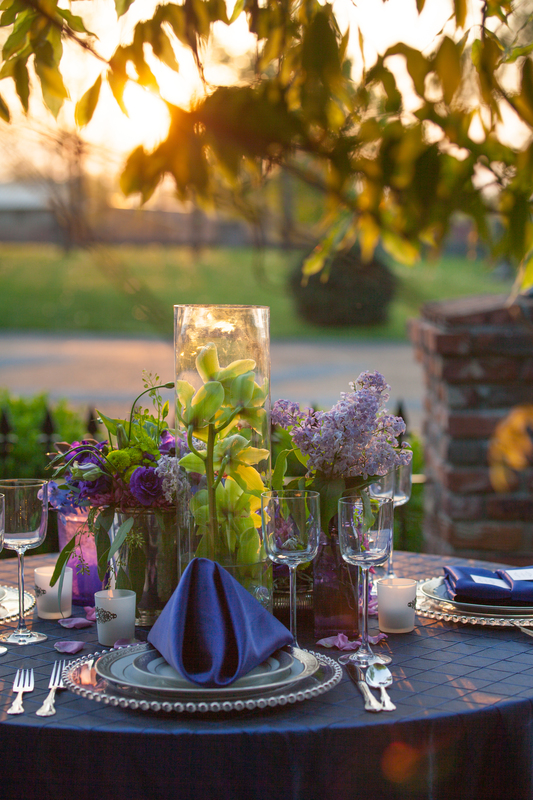 Tagged: Blue Wedding Decor, Caprice Palmer, Enchanted Florist, Kevin Wimpy Photography, Legacy Farms, Nashville Wedding Florist, Purple Wedding Decor, Spring Garden Flowers, Sweet Farm Weddings. This style shoot took place at one of our favorite wedding venues, Legacy Farms with Nashville photographer, Kevin Wimpy capturing all the amazing pictures. 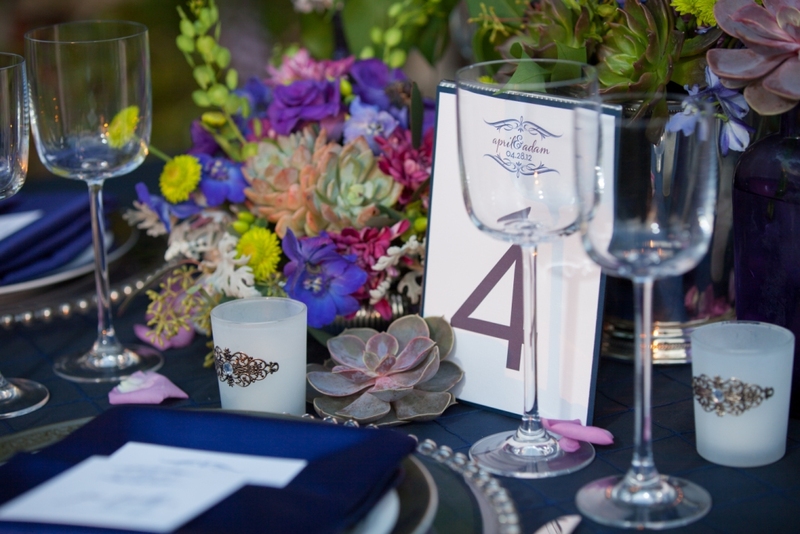 Deep purples and blues blooms mixed with succulents are accented with pink, yellow and green look elegant and timeless against the cobalt linens… all while still adding fun pops of color to keep things from being too formal. 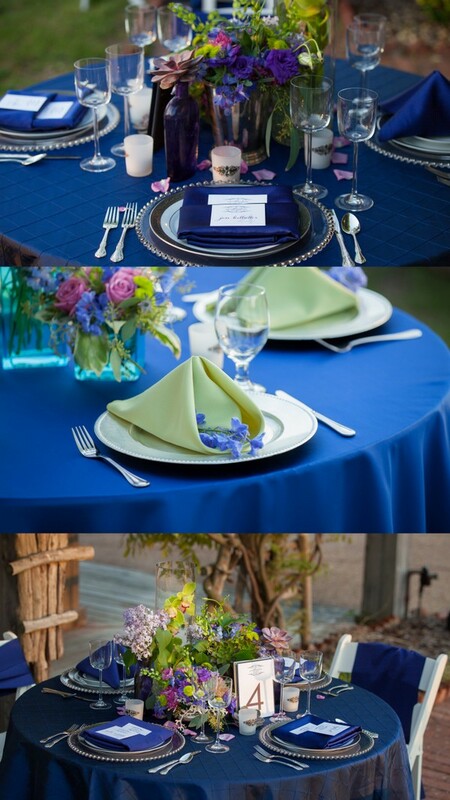 You can also see where we toned done the table setting for a more casual look with contrasting mint green napkins. We ended up creating three very different looks, all of which will be posted to the blog in the upcoming weeks. Beautiful Photo shoot from this Nashville Florist. If you are looking for Some blue inspiration. It doesn’t get much better than this! 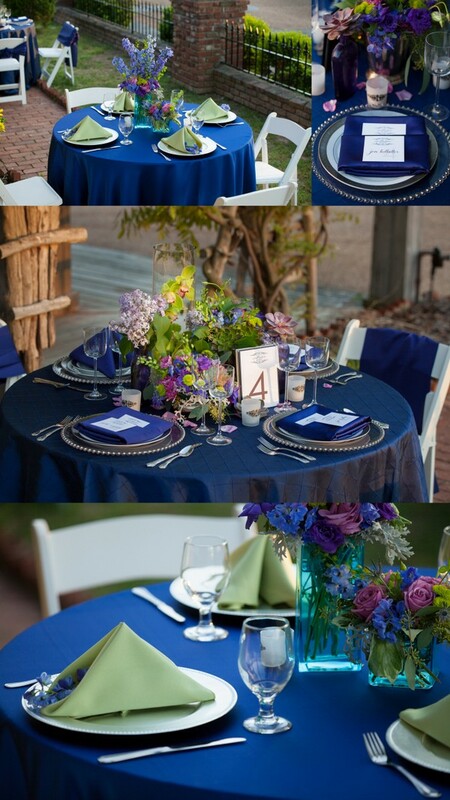 The succulents and deep blues with wonderful pops of bright colors are more than enough to make any bride-to-be swoon. We thought so, too! Thanks so much.